Package for Shimla & Manali Starting From Rs.15,999. Checkout Landing Page For More Details. Hurry book now. Get upto Rs. 2500 off on booking flights for 2 persons. Fares are available on selected fare classes only. Use the coupon code to avail the offer. Hurry book now! Get upto Rs. 2000 off on flight bookings. Flat discount of Rs. 300 on oneway & Rs. 600 on roundtrip flights. Offer is valid or a travel period till 31st December, 2019. 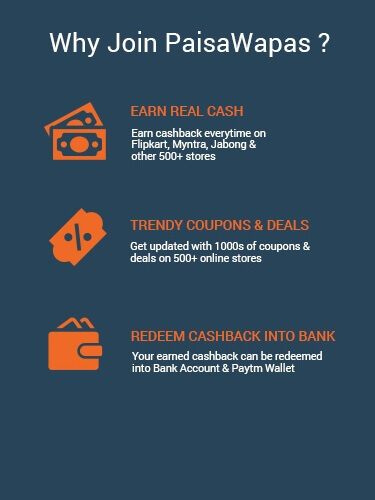 Use the code to avail the offer. Hurry book now! Get Zero Cancellation Penalty on flight bookings. Book International & Domestic Flights at the Lowest Fares. Checkout Landing Page For More Details. Hurry book now! Get upto Rs. 3000 off on booking flights for 3 persons. Travel Period: Till 31st December, 2019. Use the coupon code to avail the offer. Hurry book now! Holiday Package for the Best of Bali Rs. 39,999. Checkout Landing Page For More Details. No coupon cod needed. Hurry book now. Get Upto Rs.1,000 Off (Rs.400 Instant Discount + Rs.600 Paypal Cashback) On Domestic & International Flight Bookings At Easemytrip. Discount Valid Only On First Transaction Done Through PayPal. Use The Given Coupon Code To Avail The Offer. Minimum Purchase Of Rs.2,500 & Above Required. 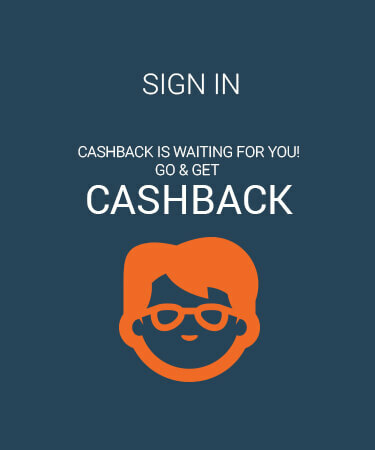 PayPal Cashback Will Be Credited Within 24 Hours Of Transaction To Users Wallet. Offer Valid Once Per User. Checkout Landing Page For More Details. PaisaWapas offers you the best prices on various products featured on EaseMyTrip, EaseMyTrip.com, is one of the topmost travel companies of India and is a trusted name in Indian travel industry. It is also known for providing the best travel deals to the travelers. Being a strong network of 42,000 travel agents and having more than 6 million direct customers, the company can satisfy your all travel needs. You can book here flight tickets, hotels, bus tickets and holiday packages at really cost-effective price. So, why to go anywhere else? Visit us for a memorable travel experience in a small budget. Step 2: Click on the offer that you want. This will take you to EaseMyTrip Website. Step 3: Shop normally at EaseMyTrip . Pay as you normally do, including by Cash-on-delivery.